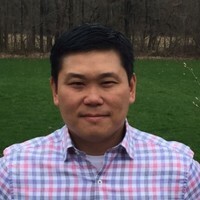 James Ro is responsible for the growth and strategic direction of Envoy Energy. He has extensive experience working with companies in the areas of mergers, acquisitions, divestitures and raising growth capital. Prior to acquiring ComTech CNG (installs and services CNG fuelling stations), James has spent most of his career in investment banking on Bay Street and held positions at Scotiabank, E&Y Orenda Corporate Finance and an investment bank boutique; he advised private and public companies and worked with leading private equity firms in Canada, including Onex Corporation, Birch Hill Equity Partners and TorQuest Partners. James holds an Honours BBA from Wilfrid Laurier University.